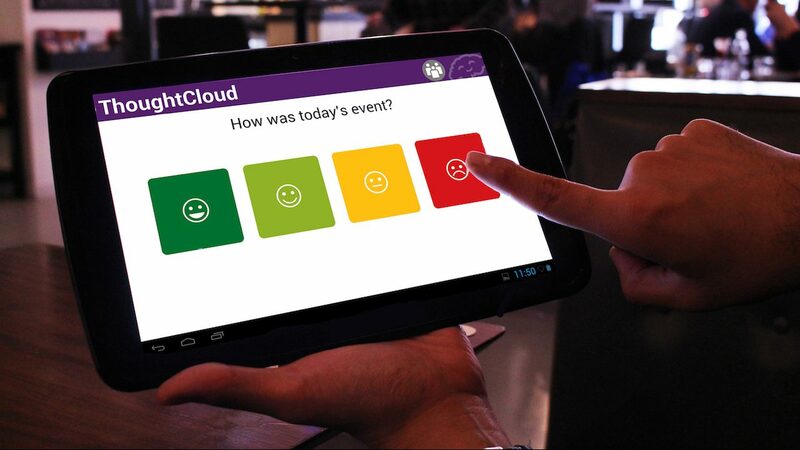 ThoughtCloud is a lightweight, situated, digital feedback system designed to allow voluntary and community sector care organisations to gather feedback and opinions from those who use their services. In this paper we describe the design and development of ThoughtCloud and its evaluation through a series of deployments with two organisations. Using the system, organisations were able to pose questions about the activities that they provide and gather data in the form of ratings, video or audio messages. We conducted observations of ThoughtCloud in use, analysed feedback received, and conducted interviews with those who ‘commissioned’ feedback around the value of comments received about their organisation. Our findings highlight how simple, easily deployable digital systems can support new feedback processes within care organisations and provide opportunities for understanding the personal journeys and experiences of vulnerable individuals who use these care services.